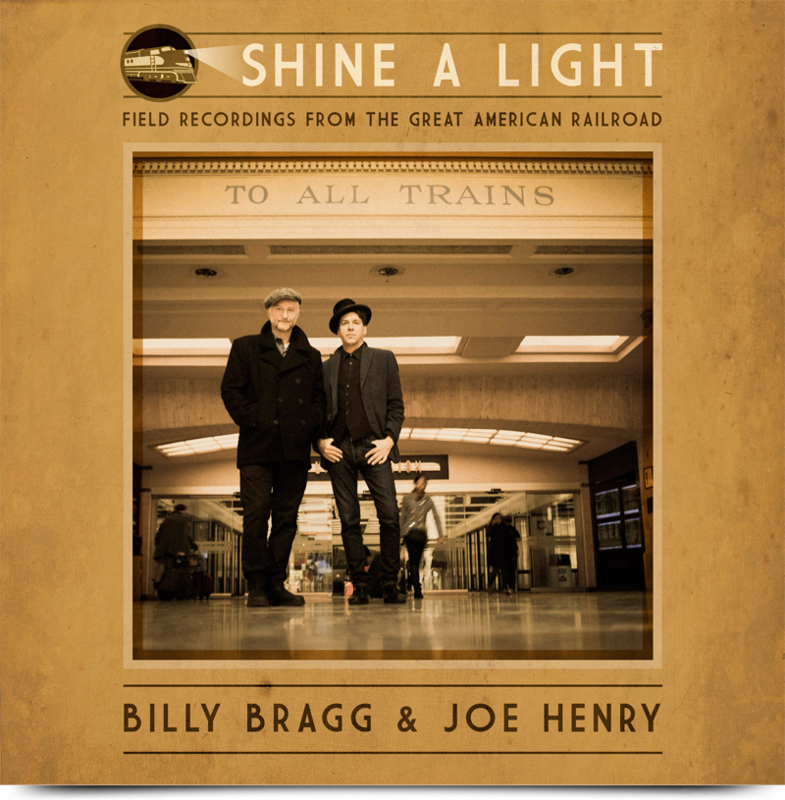 In March 2016 Billy Bragg and Joe Henry, guitars in hand, boarded a Los Angeles-bound train at Chicago’s Union Station looking to reconnect with the culture of American railroad travel and the music it inspired. Winding along 2,728 miles of track over four days, the pair recorded classic railroad songs in waiting rooms and at trackside while the train paused to pick up passengers. Chicago is the only city in the US where six major railroads converge, a reminder of the days when it was the world’s busiest rail hub. 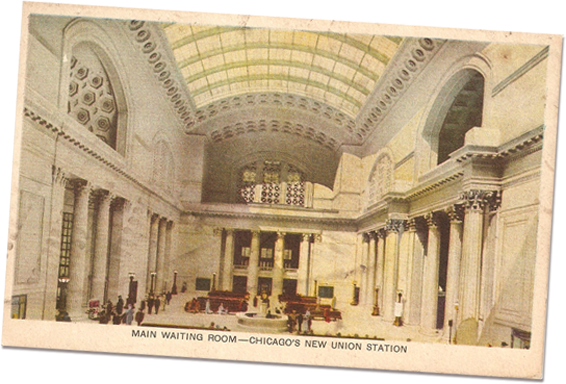 Although the terminus building across Canal Street was demolished in the 60s, Union Station, opened in 1925, has retained its Great Hall, an impressive 110ft high atrium built in the neo-classical style that serves as the main waiting room. The grand marble staircase was the setting for the set-piece shootout in Brian de Palma’s classic gangster movie, The Untouchables. We recorded our second song in the lively acoustical environment of the alcove above the stairs. Jean Ritchie was born in the coal mining region of Kentucky’s Cumberland Mountains in 1922. The Louisville & Nashville Railroad ran a passenger train called the short dog into the area, but when the mines closed down, so did railroad and locals without cars were left to traverse the mountainous roads on foot or horseback once again. Jean wrote ‘The L& N Don’t Stop Here Anymore’, which first appeared on her 1966 album ‘A Time For Singing’. Railroad Bill was the name given to an African-American train robber who terrorised the L&N railroad in the 1890s. A murderous villain to some, a shape-shifting Robin Hood character to others, his exploits entered southern folklore in the form of this ballad, first recorded in 1924 by Riley Puckett, a blind banjo player from Georgia. 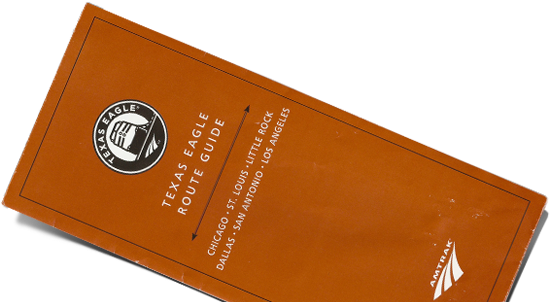 The brief stop at St Louis meant that we were unable to gain access to the station itself, recording ‘Railroad Bill’ alongside the Texas Eagle while passengers came and went. Before we turned in for our first night on the Texas Eagle, we took the opportunity to record a song rattling along in the intimate space of our sleeping berth. Hank Williams released ‘Lonesome Whistle’ in September 1951, the follow up to his number one hit ‘Hey Good Lookin’. He’d written the song on a fishing trip with Jimmie Davis, a country-singing former governor of Louisiana who had popularised ‘You Are My Sunshine’. The notion of the train whistle reminding the singer of their lost love, home or liberty is a recurring theme across blues, folk and country music. Johnny Cash refers to it in ‘Folsom Prison Blues’ and it’s what Hank is talking about in ‘Lonesome Whistle’. 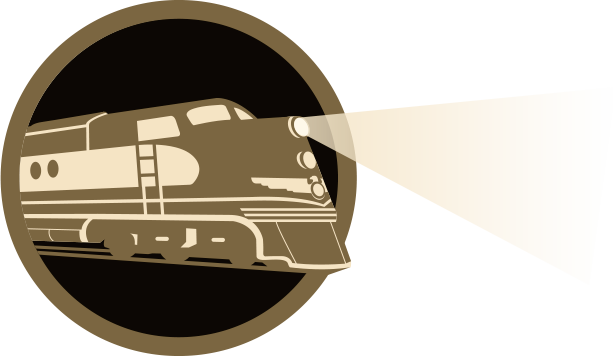 Generally viewed as a reference to Kansas City, the KC of the title could equally be the Kentucky Central Railroad, as some versions state that the KC “took my baby away.” The Memphis Jug Band recorded the song in 1929 and its inclusion on Harry Smith’s ‘Anthology of American Folk Music’ led to theirs being considered the definitive version. 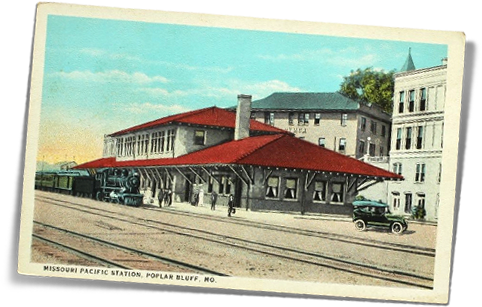 The current Fort Worth Station was opened in 2002 as a combined railroad and bus depot. 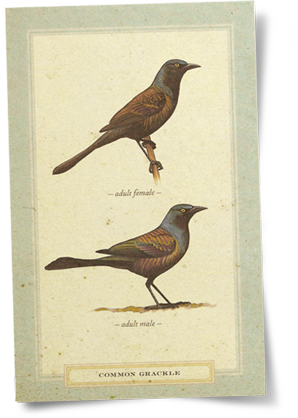 A small recreational garden was included in the design, which is now home to a noisy flock of grackles, audible in the background as we perform the song. John Hartford claims it took him just 30 minutes to write this image-rich stream-of-consciousness ballad, sung with affecting honesty from the perspective of a hobo reflecting on the nature of a peripatetic relationship while huddled around a rail-yard camp fire. Glen Campbell, backed by the Wrecking Crew, had a huge hit with the song in 1968 and it has since been recorded by artists as diverse as Aretha Franklin and Leonard Nimoy. We stumbled across it while strumming guitars on the Texas Eagle, realised we both loved the song and found the time to record a version the next day. 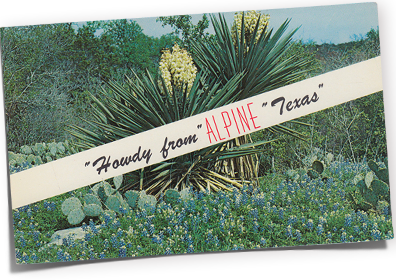 Amtrak’s ‘Texas Eagle Route Guide’ states that Alpine was founded in 1882, when an abundant source of high quality water essential to the operation of steam locomotives was found nearby. 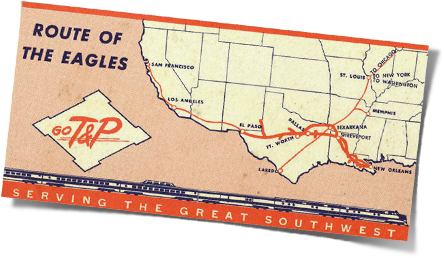 Southern Pacific were in the process of building the second transcontinental railroad from Los Angeles to New Orleans, which, when completed a year later, became the first all-weather, coast to coast route. The current Alpine station was built in 1946, in the Spanish Mission Revival style. Woody Guthrie rode the freight trains across America during the Great Depression and ‘Hobo’s Lullaby’ was his favourite song. It was written and recorded in 1934 by Goebel Reeves, ‘The Texas Drifter’, who specialised in hobo-philosopher recitations and cowboy ballads. The song entered Woody’s repertoire when he was broadcasting from Los Angeles on KFVD with ‘Lefty Lou’ in the late 30s and became one of his signature tunes. 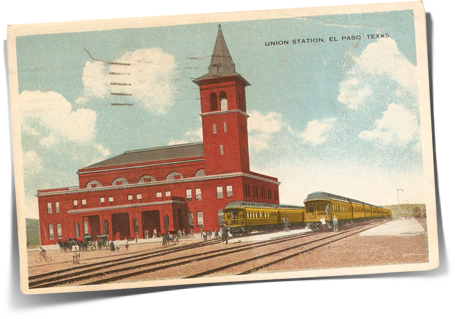 Just a few hundred metres north of the Rio Grande, El Paso was the first international railroad station in the United States. 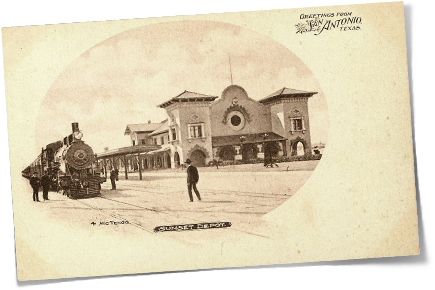 Opened in 1906, it was originally served by six American railroads and the National Railway of Mexico, who ran a service south to Chihuahua. Built in the neo-classical style, with a distinctive bell tower and a three-storey high atrium waiting room, the red brick station has the look and ambiance of a large Lutheran church. The construction of the first transcontinental railroad from Council Bluffs, Iowa, to Sacramento, California, began in 1863. 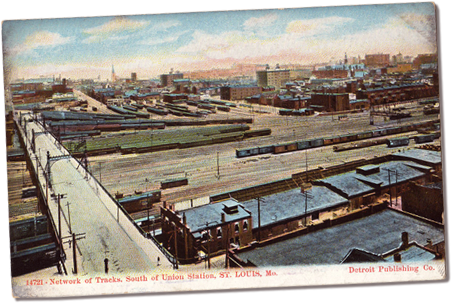 Cheyenne and Laramie were both established by the Union Pacific Railroad as it pushed across the plains. In 1868, near Creston, Wyoming, the railroad builders reached the Great Continental Divide, the point at which waters east of it flow into the Atlantic, while those to the west flow into the Pacific. After reading a book about a drifter who began working on the railroads in 1916, Sara Carter wrote this song, recording it with the Carter Family in Bristol, Tennessee, in March 1952. Two hours out of El Paso, the Texas Eagle crosses the Great Divide, halfway between Deming and Lordsburg, New Mexico, so we thought it an appropriate place to record this song. 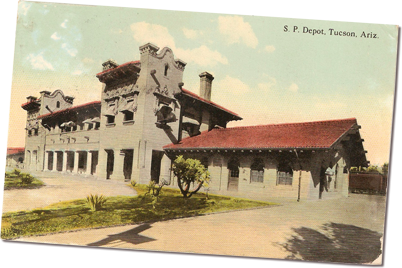 Opened in 1907 and originally decorated in a rococo style of Spanish architecture popular in the 17th and 18th centuries, Tucson Station was given an art moderne makeover in 1941. Jimmie Rodgers worked here as a switchman for Southern Pacific in 1926. The story of John Henry’s life and death contest with the steam drill is one of the most widely told in American folklore. Debates about whether such a man ever existed are immaterial: the image of this African-American steel drivin’ man has come to represent all of those who laboured to build the railroads, driving spikes and breaking rocks with nothing more than a twelve pound hammer. The ballads telling the story of this epic battle between man and machine are many and varied, but ours takes its cue from a version recorded in 1961 by Doc Watson. 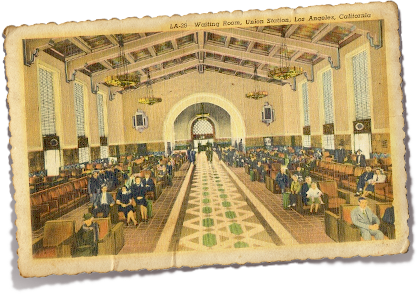 As befits the terminus serving the centre of the entertainment industry, Los Angeles Union Passenger Terminal looks like a film set. A dazzling blend of mission revival, art deco and streamline moderne styles, parts of the station retain the feel of Hollywood’s Golden Age. ‘Early Morning Rain’ was written and recorded by Gordon Lightfoot, appearing on his 1966 debut album. 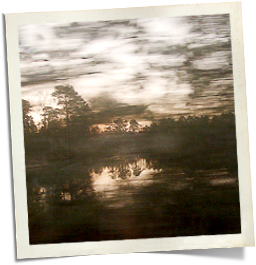 With it’s imagery of the drifter wishing he could catch a free ride on a jet plane in the same way he used to jump the freight trains, it’s a contemporary version of the hobo’s lament. The popularity of air travel in the late 20th century marked the end of an era on the railroad, for brakeman and hobo alike, so we thought it a fitting song to record at the end of the line. The Texas Eagle pulled into Los Angeles an hour early, at 4.30am and we performed as the first birds of the dawn chorus were beginning to sing.